This blog is my attempt at second shot - precision heritage photography - and my search for little nuggets of history and heritage locally and overseas. When free, I can be found wandering along the streets and elsewhere, trying to uncover their geographical past. Feel free to comment. I can be contacted at my email. Ubin Day turns Pesta Ubin! Access to Archives Online, Singapore. 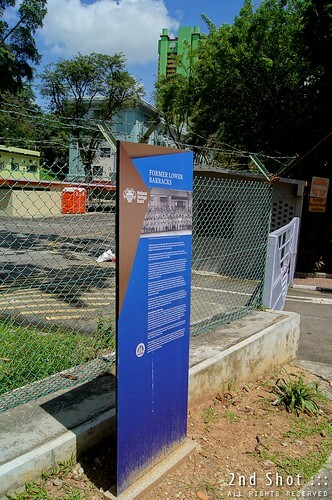 Portal to primary resources of Singapore's cultural heritage. My workplace at Si Pai Por is like a radial node that connects me to some of the oldest part of town. Just that day I was making preparation for another lunchtime expedition when I came across a Dec 2012 news on the announcement of a new historic site in Chinatown. A new historic site in the old part of town? Last weekend we made a special trip to Plaza Singapura to check out its recently completed wing which I came to know from a friend's Facebook update. We met up with her friends over lunch, and I was introduced to the Swedish husband of her friend. A short tour of the new wing ensued ... so it is a small extension after all. I was more excited to head to the basement to check out the fate of the Carrefour shop space in the post-Carrefour era. A store I had forgotten the location if not for her reminder (hmm, I didn't realize all the while Carrefour was so near the entrance). 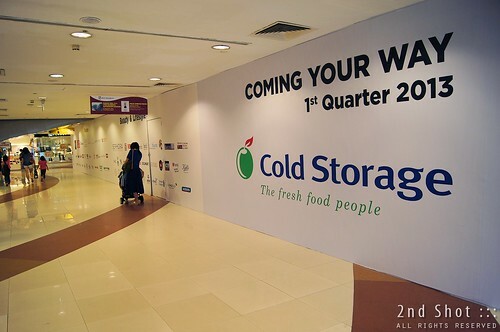 For those with similar concerns, you can see from the photo Cold Storage is taking over the space.